The Western Front is a place of horror, with men at continuous risk of sudden death or serious injury from shellfire or enemy attack. The trenches and the no man’s land between them are littered with unburied corpses. The soldiers live in conditions of appalling squalor, continuously threatened by filth, disease and vermin. In such a terrible place it is hard to believe that the soldiers would create new horrors for themselves, yet this is what they do. A legend begins to spread by word of mouth among the infantrymen, a legend of the “wild deserters” who live in no man’s land. These are deserters from all sides who have left their respective armies and who now live in shell-holes and dug-outs between the lines. By day they shelter underground, but by night they come out to look for food and loot. Some say they raid the trenches for rations, but others report that the wild deserters look for corpses of those who have fallen in no man’s land, for the wild deserters sate their hunger on human flesh. The frontline soldiers clearly regard this imagined community of deserters with fear and loathing. This says much about their own continued commitment to the war, despite the horrors they are enduring. At the start of this war many naively thought it would end quite quickly, but instead it has gone on and on. The war has also consumed far more lives than expected. Many of the men who went off to fight in 1914 are now dead or invalided. Like Britain, Australia initially sought to recruit more men by appealing for volunteers. However, less and less men are signing up now that they have a sense of the war’s real horror. Britain got around this problem by introducing conscription, emulating continental European countries by compelling military service. Billy Hughes, Australia’s prime minister, wants to do the same, but conscription is more opposed in his country. Hughes leads the Labor Party, but opposition to conscription is strong within the labour movement. The opposition of his own party members means that he cannot force conscription through parliament. Instead Hughes calls a plebiscite, inviting Australians to vote for conscription. Aside from Hughes himself, the proposal is supported by the opposition Liberal party, by most of the media, the Protestant churches and by establishment interests generally. 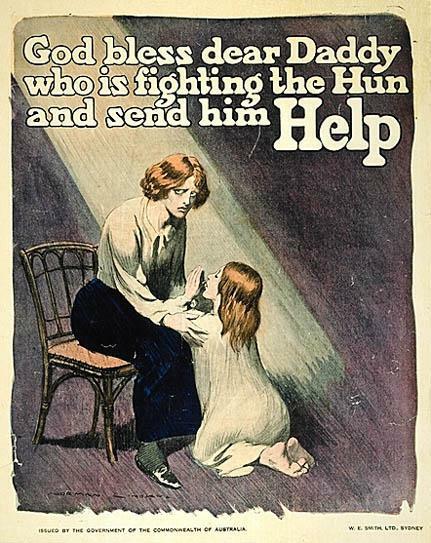 Conscription is opposed by much of the labour movement and the Catholic church. The pro-conscription newspapers provide glowing reports of Hughes addressing cheering crowds supporting the plebiscite but ignore or downplay meetings of those who are against the draft. As a result, when the votes are counted today, many are shocked to discover that Australia has voted narrowly against conscription. For Hughes the vote is a disaster. He has already been expelled from several unions he had helped to found. Now he is the prime minister of a country that has rejected his signature proposal and leader of a party that is increasingly alienated from him. The recent assassination of Prime Minister Karl von Stürgkh shocked the Austrian elite. Now Franz Josef has filled that vacancy by appointing Ernest von Koerber as premier. Koerber had previously spent some time as Austrian prime minister in the early years of the century. More recently he was serving as finance minister for the whole empire. Koerber is an old man, born in 1850 (just two years after the accession of Franz Josef). As the Austrian parliament has effectively been suppressed, Koerber holds his post at the pleasure of the emperor. This makes him a far less significant figure than Tisza, the Hungarian prime minister, who is responsible to the Hungarian parliament. Oswald Boelcke is one of Germany’s star fighter pilots on the Western Front, having brought down some 40 enemy aircraft. The young pilot is an inspirational figure to the other pilots who serve under him. He has codified his observations on how fighter planes should operating, emphasising that aerial warfare is a group effort. Boelcke also has a reputation for chivalrous behaviour towards his enemies, often visiting wounded British and French fliers that he has brought down. Boelcke had a friendly rivalry with Max Immelmann, another German fighter pilot. When Immelmann was killed, Boelcke was grounded by the Kaiser, who feared the morale effect of his loss so soon after Immelmann. Boelcke went on a tour of the Balkans and Turkish Empire but he declined a permanent desk job, returning to the skies of the Western Front. Today Boelcke has made a series of sorties, on the hunt for enemy aircraft. On his sixth flight of the day he is joined by some of his most gifted subordinates, including Manfred von Richthofen and Erwin Böhme. They clash with British fighters. Boelcke and Böhme both pursue the same enemy aircraft, in violation of Boelcke’s own rules of engagement, but then disaster strikes. The two German planes get too close to each other. Boelcke swerves to avoid crashing into Böhme, but Böhme’s wheels clip the upper wing of Boelcke’s plane. Boelcke manages to crash-land but the impact kills him. Böhme is distraught as having inadvertently killed his mentor. He intends to kill himself, but is dissuaded from doing so. Germany does not have so many fighter pilots that they can be allowed to take their own lives. In any case, the grim statistics governing aerial warfare on the Western Front suggest that it will not be long before he joins Boelcke. In Abyssinia, a group of nobles have overthrown Emperor Iyasu V. Iyasu had been courting his Muslim subjects in the east of the empire, but there were rumours that he was intent on making Islam the state religion of the mostly Christian country. The Allies meanwhile were afraid that Iyasu would throw in his lot with the Ottoman Empire, transforming Abyssinia into a base for the destabilisation of their surrounding colonies. They encouraged the revolt of the Christian nobles, who proclaimed Zewditu empress, with Ras Tafari Makonnen as regent. Iyasu responded to his ouster by raising an army and making an attempt to regain his throne by force of arms. He was defeated, but then his father, Ras Mikael of Wollo and Tigre came to this aid. Mikael’s army won its first battle with the rebels, but this was just a prelude to today’s decisive clash between the two sides. The armies meet at Segale.40 miles north of Addis Ababa. Tafari’s army stage a great outflanking manoeuvre, Mikael’s army is crushed. Mikael himself is captured and his men are granted quarter providing they swear fealty to Empress Zewditu. Iyasu himself remains at large, but now he is a fugitive in the land he recently ruled. Allied representatives are pleased that the threat posed by this dangerous man has been eliminated. They are also pleased at seeing Tafari cement his hold on power, as he is regarded as a man of impeccable pro-Allied views. The British continue to be concerned about the German U-boat menace. In order to stop the enemy submarines traversing the English Channel, the British have constructed the Dover Barrage, a network of nets and underwater minefields across the narrow sea near the port. The Germans have a naval squadron based in the Belgian port of Zeebrugge. Its commander, Ludwig von Schroeder, decides to attack the Dover Barrage and any Allied ships he can find in the Channel. His squadron sailed out yesterday evening. The raid goes well. In the course of the night, Schroeder’s ships sink a number of the drifters that attend the barrage. The British response is ineffectual, with the German ships several times mistaken for British ones. One British destroyer is sunk when the German squadron take it by surprise. The Germans also sink a British troopship (thankfully not carrying any troops at the time) and damage some other vessels. In the early hours of the morning Schroeder returns to port. One of his boats has suffered minor damage, but he has successfully shown the British that they cannot take control of the Channel for granted.